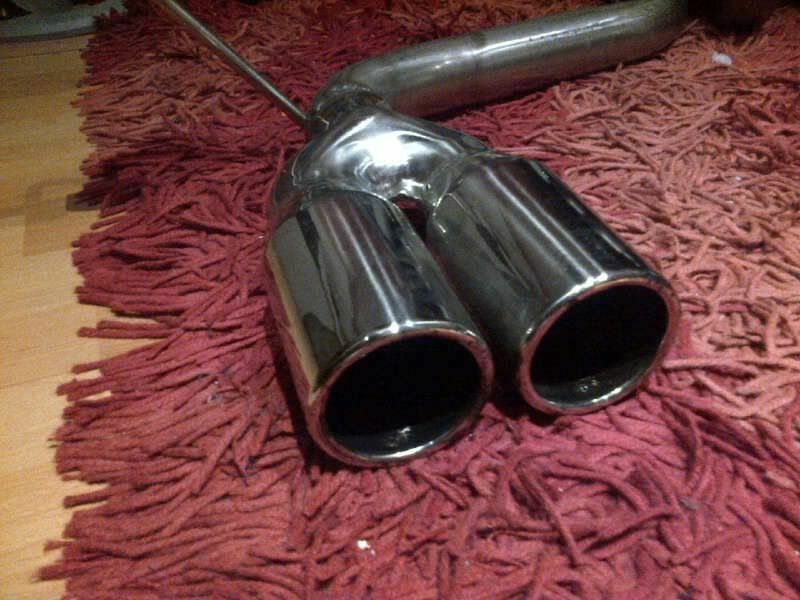 I was offered this next mod by a fellow member on Audi-Sport. So what exactly is it? 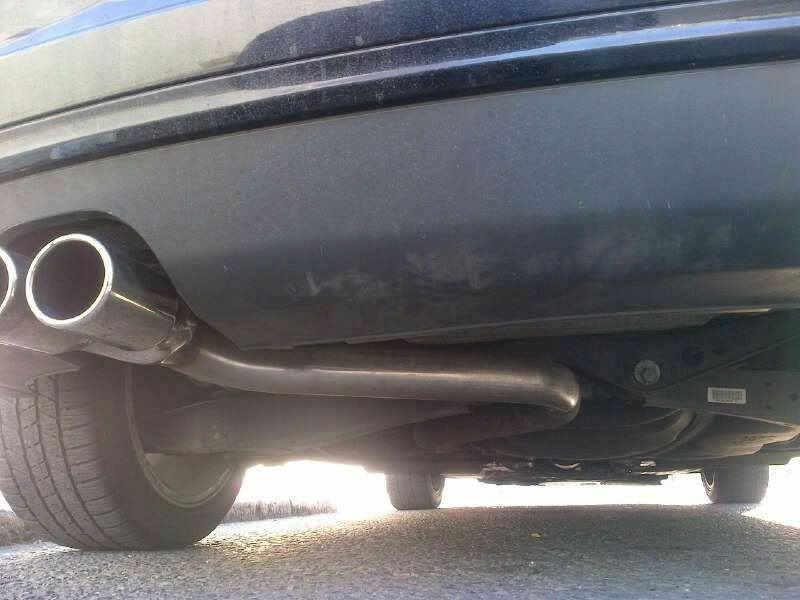 Well the back box on our cars are basically a silencer, to muffle out the loud noise you get coming out of the car from the engine and the exhaust. 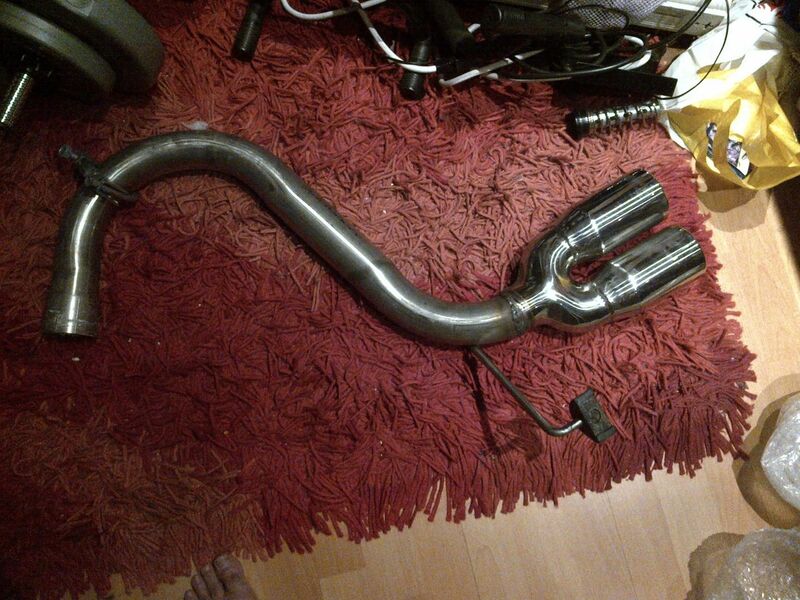 Now by removing it the sound will get considerably louder but I didn't want my car sounding like a chavy Clio or Corsa thats had a crappy 'Phat' exhaust put on it. The BackBox delete however give it a lovely sound of the turbo spooling down and is also said to increases the power slightly. 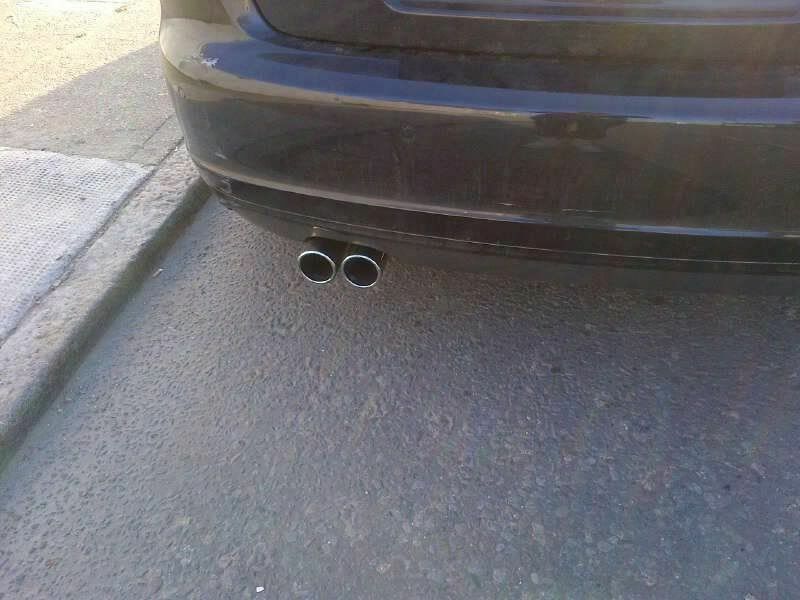 As you can see its a pipe with the twin exhaust pipes on the end. 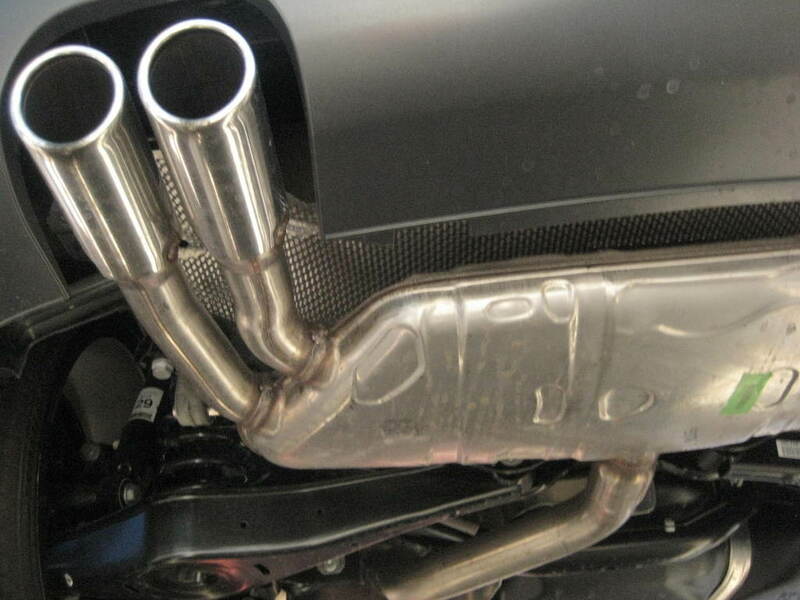 You can see the big box between the pipe coming from the engine and the exhaust tips or 'Muffler tips' as they are known as. So after it being on the bedroom floor for a couple weeks I finally found some spare time and took it into a local garage to get it fitted in. 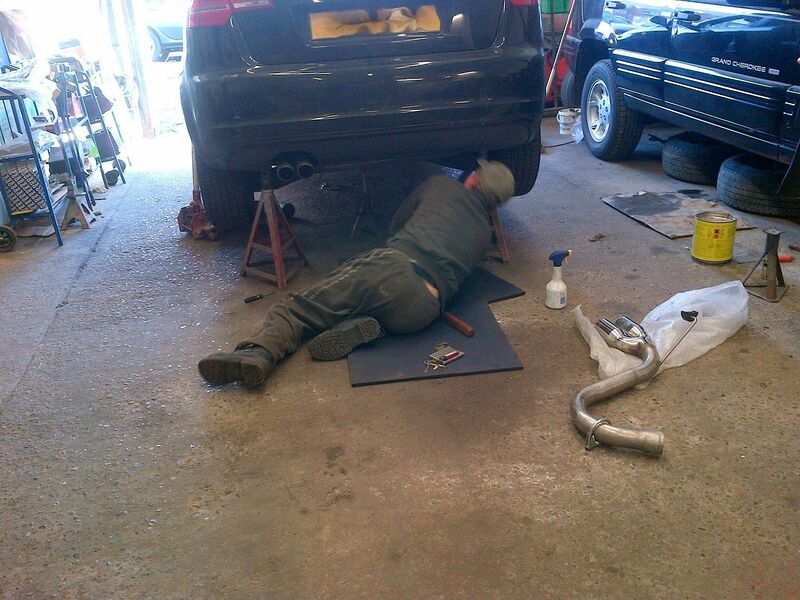 The guys did their best to fit in the new exhaust with the tips lined up as straight as possible, I asked them to leave it poking out a bit as I liked the way it looked. I have now mastered the perfect acceleration method to get the exhaust to whistle out the turbo spooling and I have to say it sounds amazing and always makes heads turn as I'm pulling away.